I immersed myself in research about 50 years ago, when Brazilian psychologists had just obtained the official recognition of the profession. The work that would gain the preference of colleagues and students began when I became responsible for a child psychology clinic at the Medical School of Ribeirão Preto. The prevalence of school-related difficulties among the clients of this clinic led to the examination of the conditions associated with the academic and socio-emotional development of school-age children. A small but committed team has accumulated empirical evidence of interactions between family, school, and child variables that influence development under adversity or life transitions. Inspired by an optimistic view of development, we found interpersonal relationships as the root of difficulties and also the way to protect children through socialization in the family and school contexts. As a result of studies carried out in real-life contexts, with a focus on concrete problems faced by children, the research contributed to the formulation of programs to support children for dealing with interpersonal demands. Throughout the text, I recover significant steps of this collective construction. 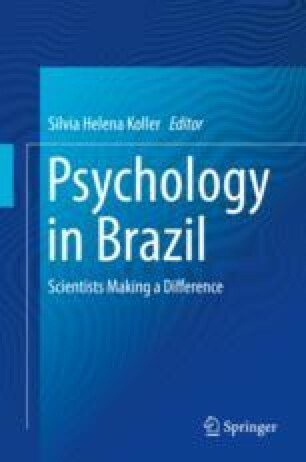 The chapter ends with some reflections on what could be seen as my personal contribution to the development of Brazilian psychology.